A display of winter flowers near the Main Pond in the Royal Botanic Gardens, looking towards the Sydney skyline. Shots like this - garden coexisting amidst sky scrapers - always intrigue me. 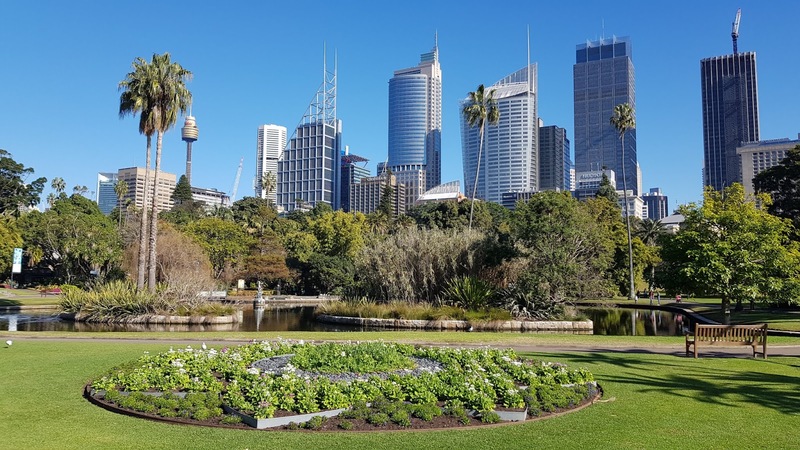 We didn't make it to the Botanic gardens when we were in Sydney in February 2017 - way too hot! Enjy the rest of your week Jim. That's a shame, Jill. It's such a beautiful spot. Beautiful picture Looks so serene. The Botanic Gardens in Sydney is one of my favourite places, Jim, and I always try to have a wander in there when I visit Sydney.